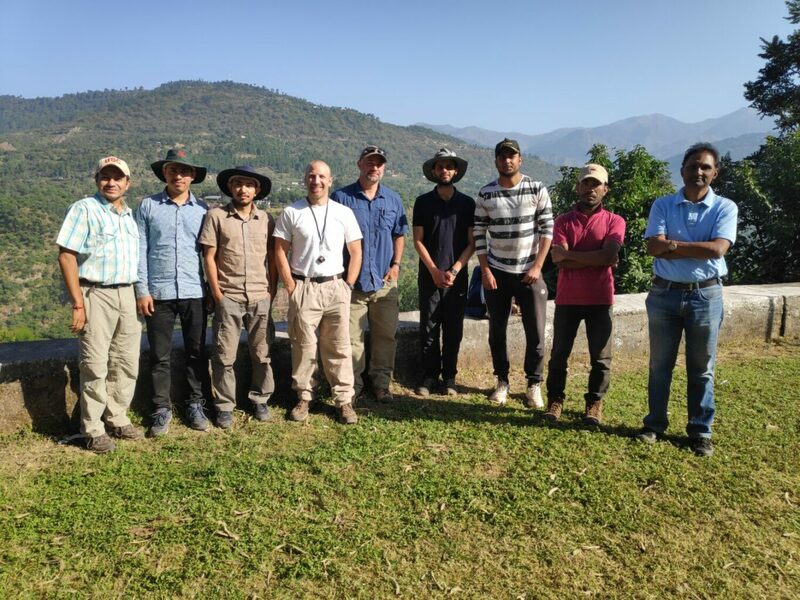 We just returned from another successful field season in the Indian Lower Siwaliks surrounding the town of Ramnagar (Jammu and Kashmir State), India. 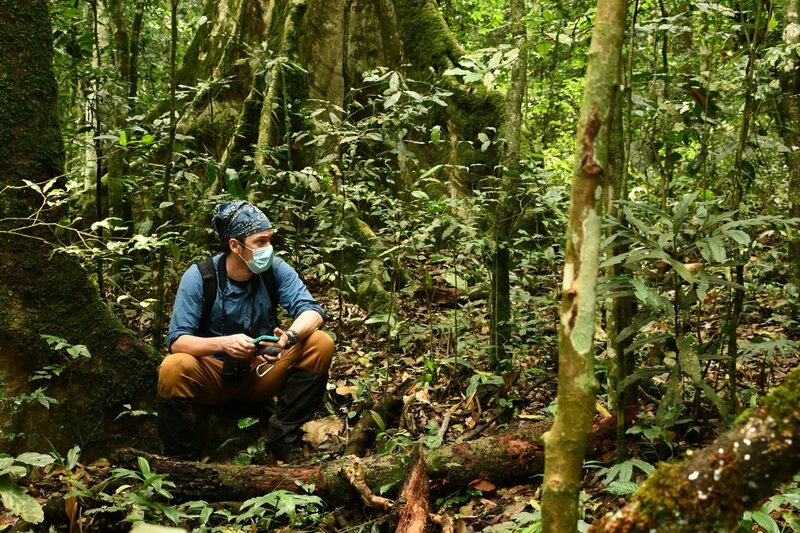 What constitutes a “successful” field season? One during which another fossil ape specimen is found! Fossil apes have been known from the Ramnagar region since 1922, when the famous fossil collector Barnum Brown from the American Museum of Natural History first found a specimen preserving the anterior portion of a lower jaw. Researchers have been collecting at Ramnagar on and off ever since, but ape specimens remain very rare. Nevertheless, the combined ape fossils from Ramnagar and the classic Lower Siwalik Chinji Formation-level sites on the Potwar Plateau of Pakistan are generally agreed to represent the earliest specimens of the great ape Sivapithecus, a close relative of the living orangutan. Unlike the fossil sites on the Potwar Plateau, the sites around Ramangar are not well-dated in terms of geological age. However, answering broad questions in the study of ape and human evolution requires an understanding of time. For example, correlating climatic events with the appearance of key species, calibrating the molecular clock, and evaluating evolutionary scenarios regarding the acquisition of important anatomical traits, all depend on accurate age assessments of the geological deposits containing notable fossil specimens. Thus, the ages of the Ramnagar-area fossil localities are important for two reasons: first, because we have collected specimens representing new ape (and other primate) taxa, making an accurate age assessment crucial for a full understanding of their evolutionary significance; and second, because Ramnagar has been suggested to possibly represent the earliest occurrence of Sivapithecus, which is important due to its widespread use as a calibration point in molecular clock studies. Confirmation of an earlier geological age for Sivapithecus could potentially push back other divergence dates in the hominoid family tree, including the Asian/African great ape and human/chimpanzee divergence dates. 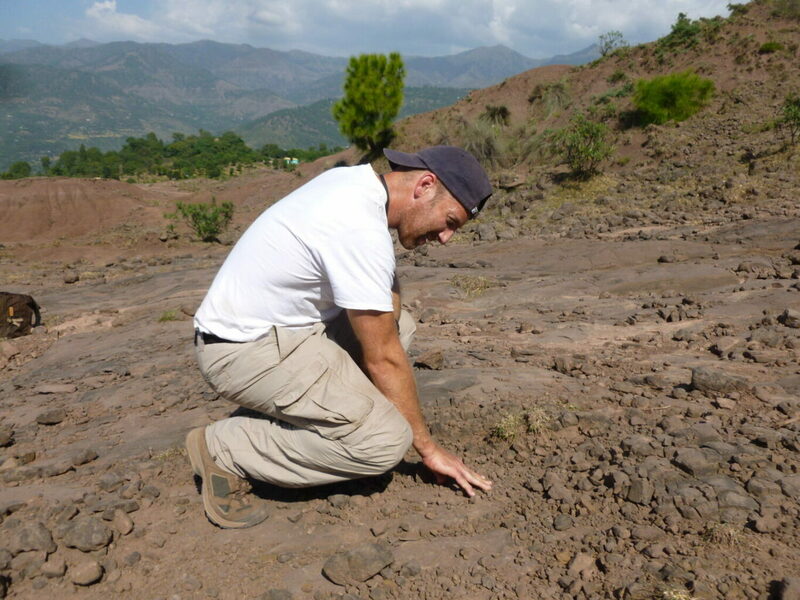 The current project (an international collaboration between Hunter College, CUNY, University of Southern California, Arizona State University, and Panjab University) began in 2010, and from 2010-2015, we documented new Ramnagar area fossil sites, collected vertebrate and invertebrate fossil remains, and began efforts to better document and understand the geology of the region. Most notably, we found two primate specimens representing new genera and species: one a new sivaladapid adapoid (Ramadapis sahnii) and one a small-bodied ape (manuscript currently in preparation). Thus, in a few short years, we doubled the known primate taxa at Ramnagar and, more broadly, added to the known primate diversity found in the Lower Siwaliks. However, questions regarding the age of the new Ramnagar primate fossils, along with the age of the previously collected Sivapithecus specimens, still remain. 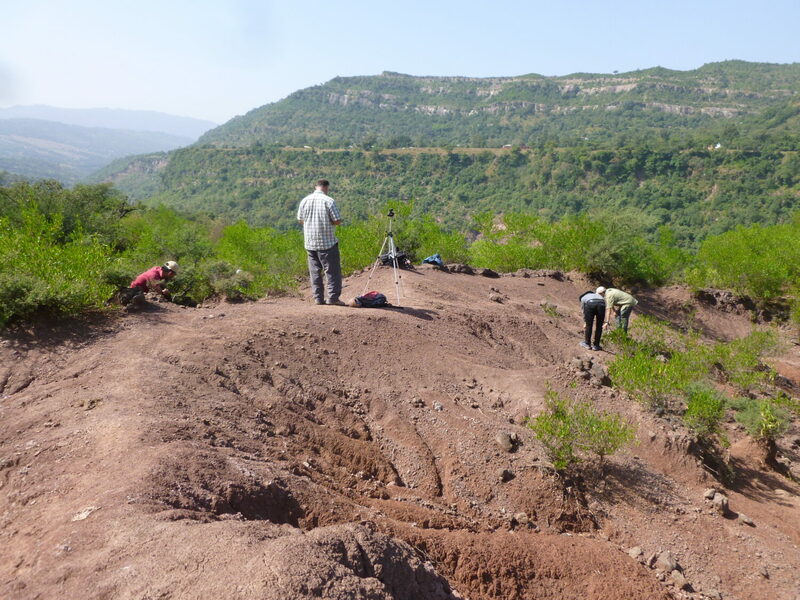 With generous funding from The Leakey Foundation, our latest field season in 2018 continued efforts to find additional primate specimens and obtain more precise age estimates of the ape-bearing fossil sites at Ramnagar. 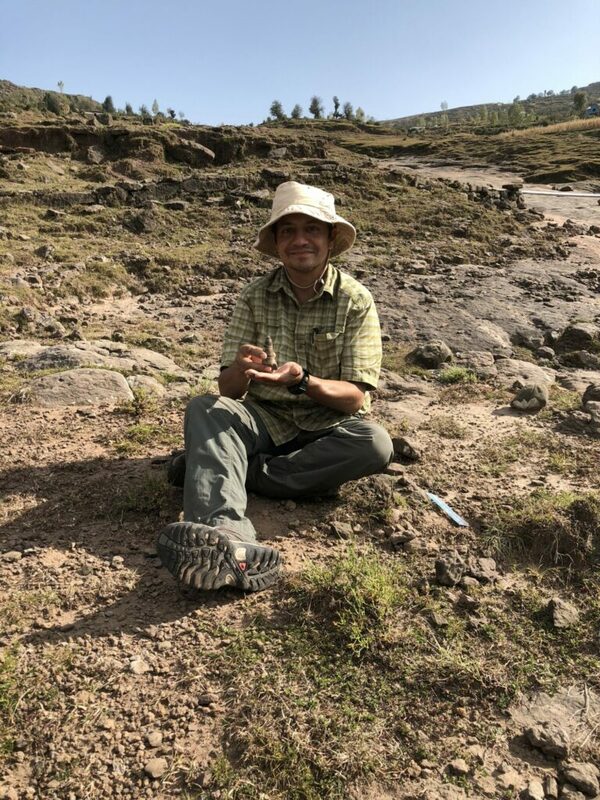 We revisited known fossil localities as well as discovered new ones, and we collected detailed geological measurements to more accurately document the stratigraphic sequence in the area. 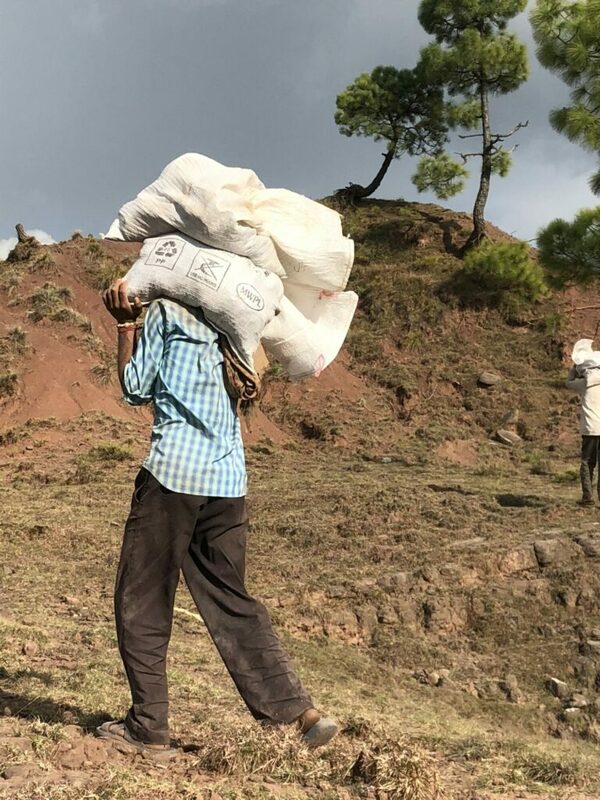 We also collected around 20 bags of sediment from our primate-bearing sites (filling up an entire pickup truck flatbed) and sent them back to Panjab University for sieving in the Patnaik lab. The sieving operation (already underway) is of high importance, as previous efforts have resulted in the recovery of a small number of tiny fossil rodent teeth. Because many fossil rodent species have well-documented, brief geological time ranges in the Lower Siwaliks, if a few well-preserved specimens of these time-sensitive species can be found within the collected sediments, they can provide a highly accurate and precise time range for the fossil site in question. 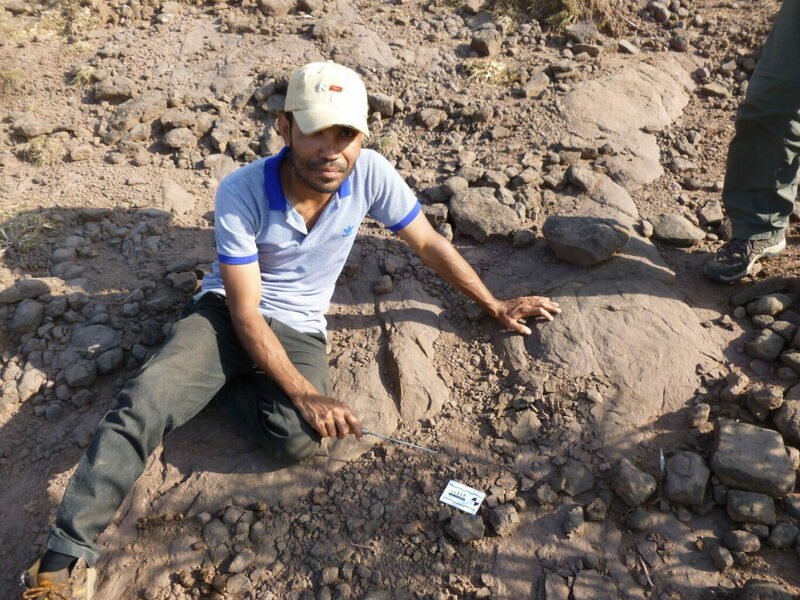 We are hopeful that our collection efforts will result in additional fossil rodent specimens to help with our age estimates; in combination with a revised stratigraphy, we will then be able to provide much more accurate and precise age estimates for the Ramnagar-area hominoid sites. 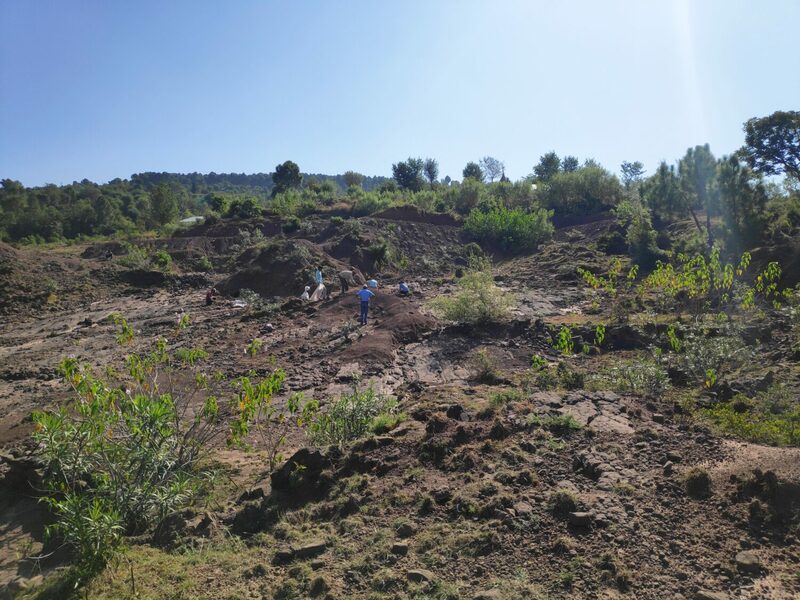 Finally, as alluded to above, our efforts this past season resulted in the recovery of an additional specimen of the fossil ape Sivapithecus indicus, a nice reward for all our hard work! By our count, between 1922 and 2011, only 17 fossil primate specimens (16 hominoids) were published from Ramnagar, demonstrating the rarity of ape specimens in the area. Through our fieldwork over the past few years, our team and collaborators have now expanded the known primate sample at Ramnagar by ~25%, expanded the known hominoid ape sample by ~20%, and doubled the known diversity of primate taxa along the way. We believe that these results demonstrate the potential of Ramnagar to continue providing a unique window into hominoid, and more broadly, primate diversity and evolutionary history in South Asia. 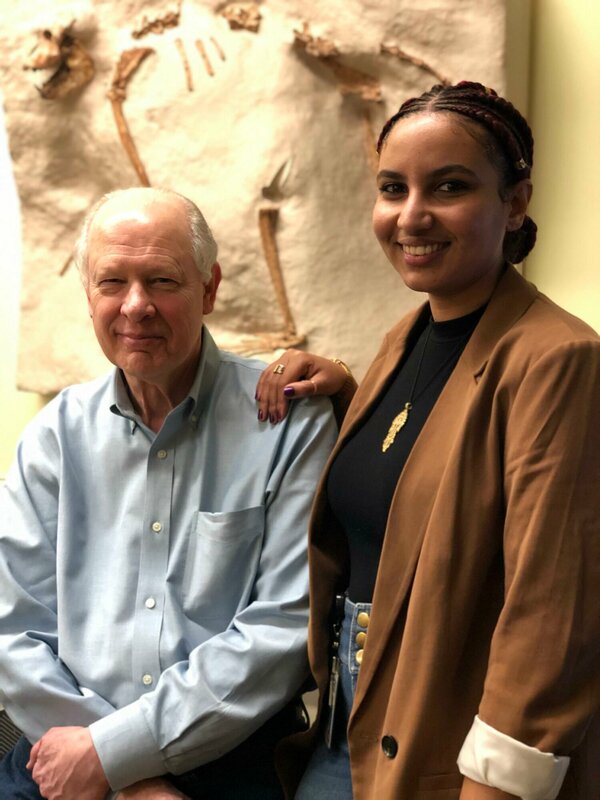 Funding from organizations such as The Leakey Foundation is crucial to paleontological and geological efforts aimed at discovering and dating new fossil ape (and other primate) taxa around the world, and a more complete and well-dated fossil record provides the only direct means by which to fully understand the timing and scope of ape and human evolution. We plan to publish the results of our work at Ramnagar in numerous journal articles over the next few years. 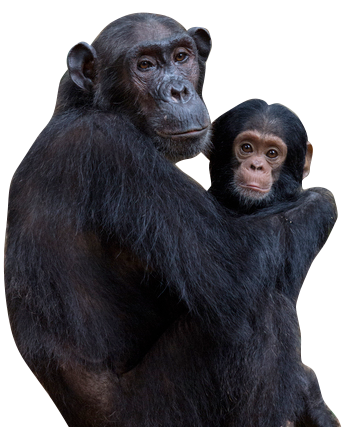 Thank you, again, to the Leakey Foundation for the generous support! 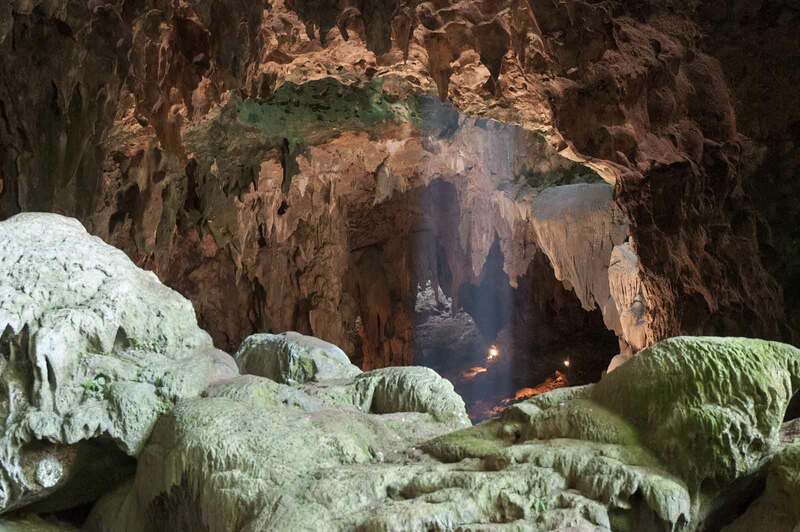 With funding from The Leakey Foundation, a new member of the human family has been found in a cave in the Philippines, researchers report today in the journal Nature. 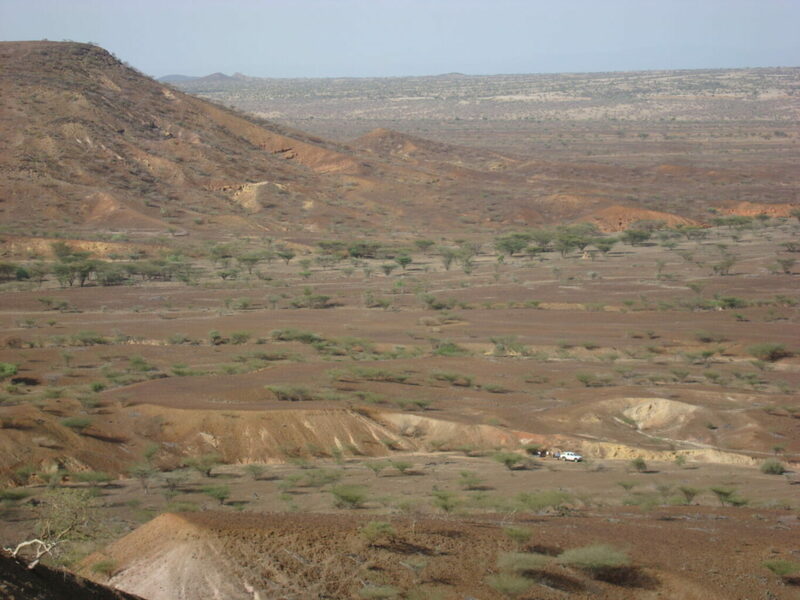 Sedimentary rocks exposed in the eroded badlands of Nakwai, Kenya, where the remains of a newly discovered ancient species of Old World monkey named Alophia was discovered. The truck and scientists at bottom right of center show the scale of this landscape. Photo copyright John Kappelman, used by permission. 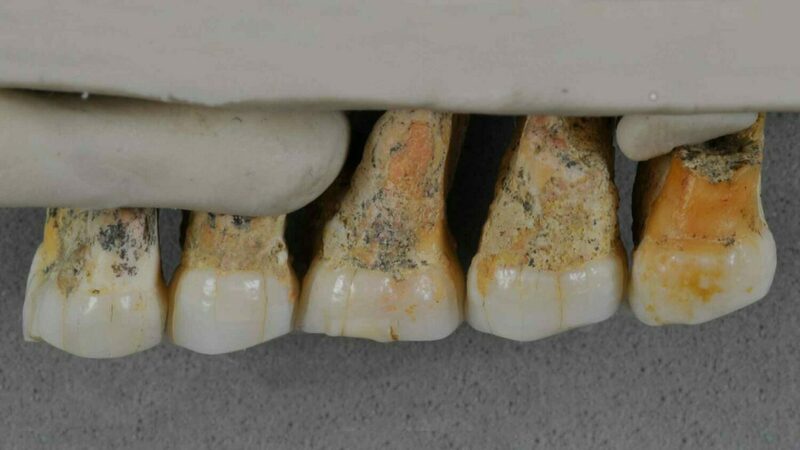 AUSTIN, Texas — The teeth of a new fossil monkey, unearthed in the badlands of northwest Kenya, help fill a 6-million-year void in the fossil record of Old World monkey evolution, according to a study by U.S. and Kenyan scientists published in the Proceedings of the National Academy of Sciences, and funded in part by The Leakey Foundation. 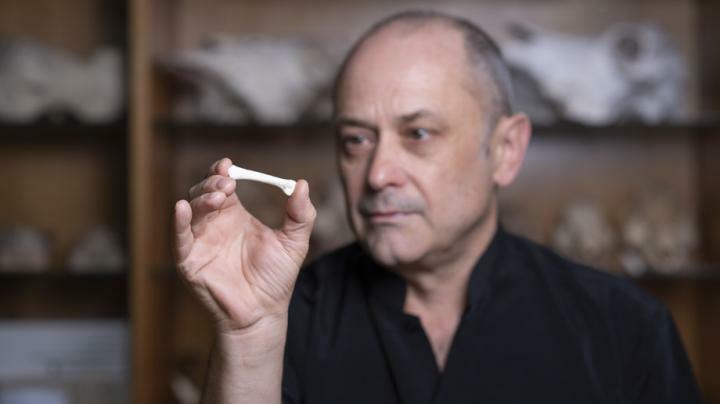 The discovery of 22-million-year-old fossilized monkey teeth – described as belonging to a new species, Alophia metios – fills a void between a previously discovered 19-million-year-old fossil tooth in Uganda and a 25-million-year-old fossil tooth found in Tanzania. The finding also sheds light on how their diet may have changed the course of their evolution. 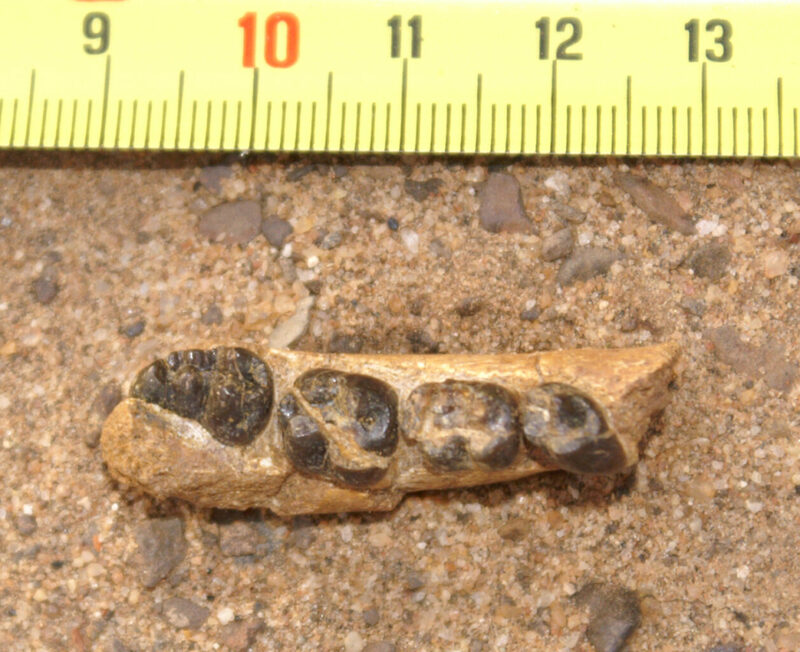 A fossil mandible of the newly discovered ancient Old World monkey named Alophia. Photo copyright John Kappelman, used by permission. 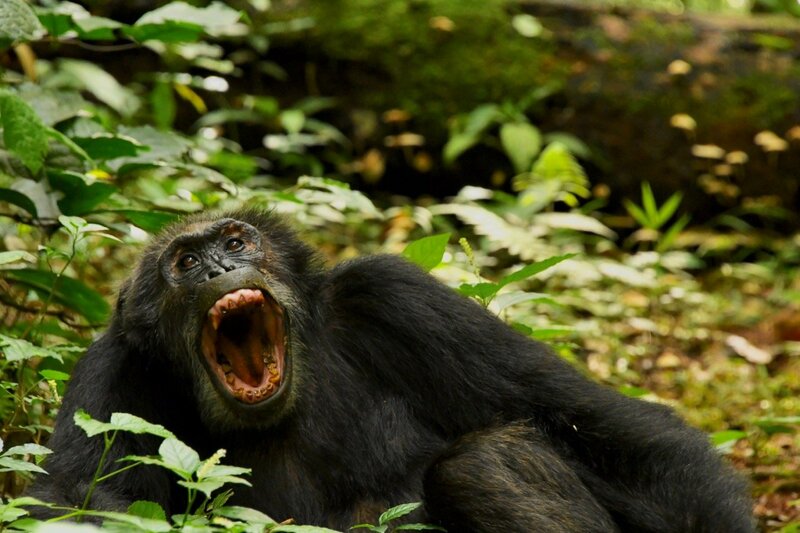 “How and when this unique dentition evolved is one of the unanswered questions in primate evolution,” said James Rossie, an anthropology professor at Stony Brook University. The researchers speculated that Alophia‘s primitive dentition was adapted to a diet that consisted of hard fruits, seeds and nuts, and not leaves, which are more efficiently processed by the more evolved dentition of fossil monkeys dating from after 19 million years ago. Monkeys originated at a time when Africa and Arabia were joined as an island continent, with its animals evolving in isolation until docking with Eurasia sometime between 20 million and 24 million years ago. It was only after docking that the mammals today typically considered “African” – antelope, pigs, lions, rhinos, etc. – made their entry onto the continent. 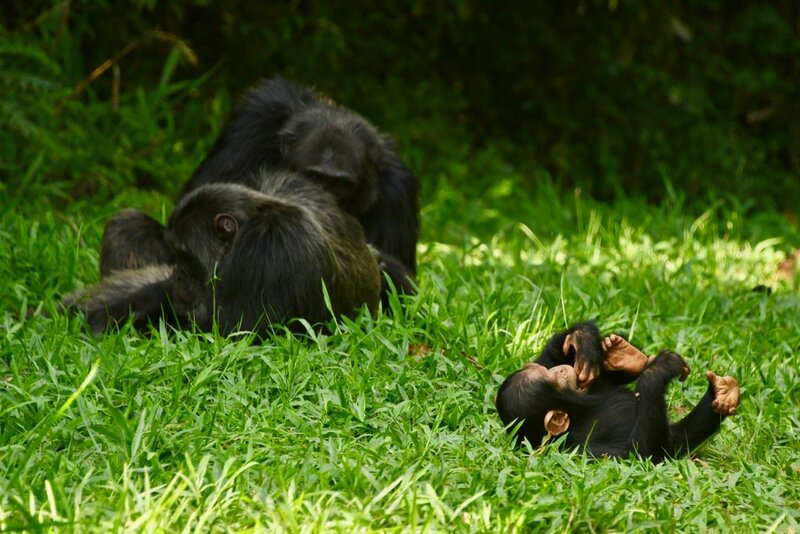 So, researchers asked: Could this event and possible competition between the residents and the newly arrived Eurasian species have driven monkeys to exploit leaves, or did changing climates serve to make leaves a more attractive menu entrée? 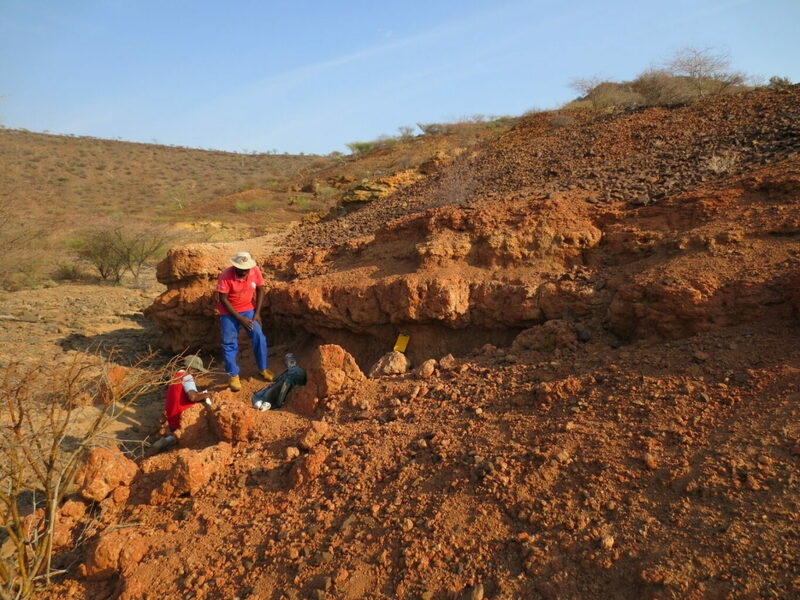 Scientists collecting rock samples for dating the sediments at nakwai, Kenya where the newly discovered ancient old World monkey named Alophia was discovered. The fossil monkey is dated to 22 million years in age.